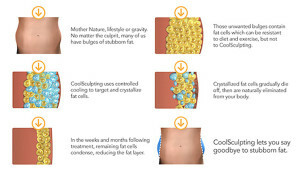 Coolsculpting is Manufactured by Zeltiq with four different treatment modalities to treat unwanted pocketed fat located on the lower Abdoment, Love Handles, Inner thighs, Upper Arms, and back fat. 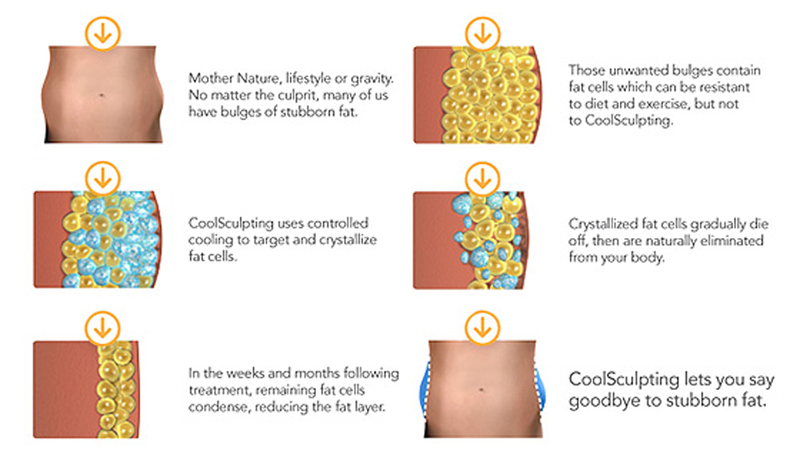 Coolsculpting is a new and innovative way to reduce unwanted fat without needles or surgical procedures. We place the device on the problem area and the treatment takes approximately one hour with minimal discomfort. The fat is then crystallized by freezing and then broken by the bodies lymphatic system over one month to three months for full results. Treatment areas include Abdomen, thighs, Love handles, upper arms and back fat.